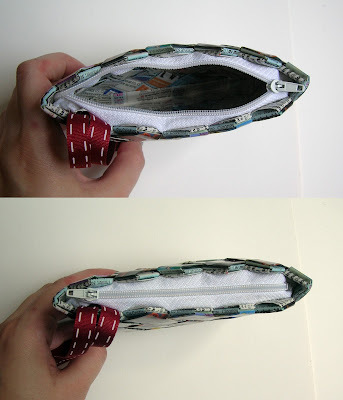 This paper coin purse is made from upcycled/recycled paper from TV guides. The paper is laminated, so it is water resistant and will hold up to a lifetime. 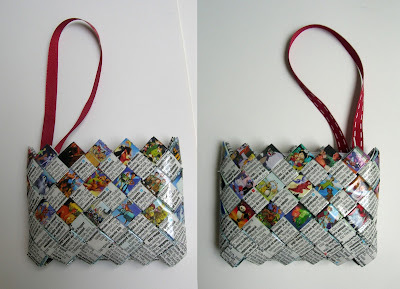 This little purse is not available, but you can always leave me a message and I can make a similar one. Portofel #06 (fata-veso) din hartie reciclata din programe TV, cu imagini din desene animate. Hartia a fost laminata, devenind foarte rezistenta si protejata impotriva apei.